No one knows how many ultra-orthodox men and women kill themselves every year. It’s hard to know when there are so many ways to die in silence, by drugs, by overdose, by drowning. The victims leave no note, and it all goes by—the announcement, the burial—as if it were an accident, just another self-destructive tragedy. I remember one man who jumped at dawn, right in middle of our ultra-orthodox neighborhood of Borough Park. A body fell from the seventh floor of Avenue Plaza hotel. It was November 2009. The groom, a religious young man married 48 hours before, had climbed over the balcony as his bride slept, oblivious, nearby. Shockwaves rippled through the community, of grief, alarm, denial. From the outside, reporters came, storming the gates of an insular world. The story was displayed in newspapers and on screens in all its blood and gory: Groom’s Death-Plunge; Tears for Suicide-Plunge Groom; Suicide Groom Told Friend He Was Molested. But for us, from within, this was no news. We knew that what felt like a loud bang had really been a final whimper, the victim’s last exhausted cry. Ten months later, Hush, a book I’d been working on for three years, was published. The book told the story of a Chassidic girl whose best friend hangs herself after suffering sexual abuse for years. Publishing this book was the most painful experience of my life. Quickly, I found myself stumbling, attempting to walk an unsteady line between two worlds: the denial of the ultraorthodox on one side, and the sensationalist spin of the mainstream press on the other. Our nightmare was their drama—a reality show watched from afar. In the four years that have passed, there have been more suicides. Within the community, there have been many changes. But in the process something inside me broke. After years of writing about the tormented and suffering, I withdrew. I could not bear to walk among the gravestones anymore. I wanted to write about life, about joy and triumph. That had been my world too. I felt strong when I wrote about miracles. I felt good, even happy, when I wrote about my brother. And I wanted to tell his story—of a boy who could not speak, who was afflicted with a strange madness, and of my parents who refused to let him go. No. Matter. What. It took me three years to write my memoir, This Is Not a Love Story. I laughed a lot. Memories came back that I’d forgotten, and for those moments, I was a child again. Just two weeks ago, interviews were scheduled in which I was to discuss the nuanced and complex aspects of ultra-orthodox life. Things were going to be good. Then on July 20, 30-year-old Faigy Mayer jumped over the ledge of a building, and fell 20 floors down until she hit silence and death. And, like that, my miracle was gone. My stories of joy were consumed, sucked in by the sheer gravitational force of the tragedy and the too-many-suicides before. Conversations that were to be about life turned into ones of death; interviews in which I’d have discussed love and the complexities of a religious family were now focused, laser-like, on abuse, depression, denial, leaving, transition, struggle, all that. 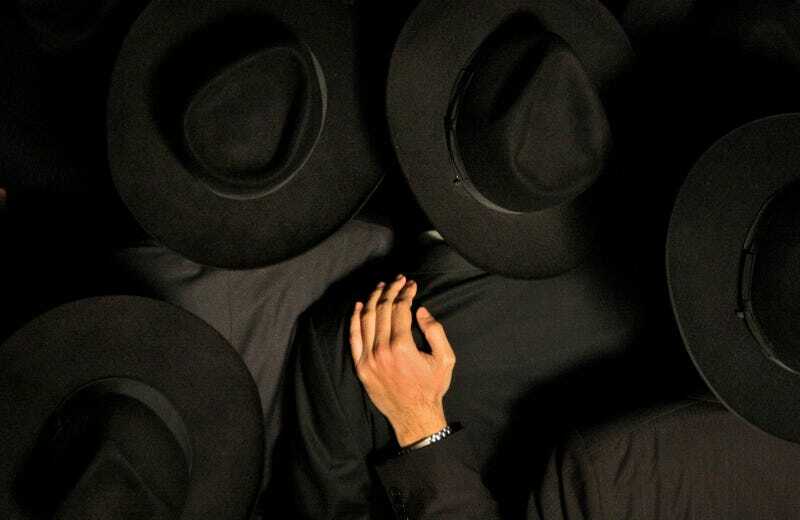 Coming out of the ultra-orthodox world is like emerging from an isolated fortress in which one room is on fire. The inhabitants refuse to believe there is a fire. Those burnt by the heat are driven out to seek help elsewhere, screaming of an inferno. Only when strangers come with hoses do the fortress’s inhabitants agree that perhaps indeed, there is some smoke and flames. And that they can put it out themselves. But the strangers outside know nothing of the myriad other lives being lived inside the fortress. It’s hard to see the complexities of a distinct world through the smoke. We who come from within know of kindness and love, of charity and faith. For years we hold on to the powerful and deeply rooted forces of heritage and family until slowly, we learn to let go. It takes a village to raise a child. It also takes a village to destroy one. With passion and conviction, the ultra-orthodox have done both. Still, our lives are not lived through the pixels of your TV screen. The stories of those who stay and those who leave are made up of so much more than the space allowed in today’s paper. After Faigy jumped, reporters and curious writers asked me for the connection between my story and hers. Links were made between the past ignorance of the community regarding special children and the complicated nightmare that is mental illness today. Lines were drawn which don’t exist, from a family devoted to their child in impossible circumstances, to one that shunned their daughter for being different. Sexual abuse. Special children. Depression. Leaving. The media wanted to merge all these stories into one. I tried to explain that my story, the one being published now, is not about ignorance; it’s about triumphing over ignorance from within the ultra-orthodox world. I tried to explain that yes, victims of abuse face a nightmarish reality, but no, I did not know Faigy Mayer personally, and will not dare speak in her name. Yes, transitioning out of the only world you know is like moving to a different planet; but no, not everything is terrible. There are happy moments and good memories too. Yes, many families shun those who leave, but there are other complicated issues that might factor in. Yes, I once wrote a story about a little girl who hangs herself—but look, here is my lovely new book about a boy who finds himself, also in the ultra-orthodox world. It hurts, because others will continue to die, some by overdose, some by hanging, some by letting go a rooftop ledge. Leaving the ultra-orthodox world is an enormous struggle. For those suffering from depression, or abuse—so is staying. It’s complicated. Beneath the black and white Chassidic garb, all sorts of people live: the intelligent and the disabled, the curious and the obtuse, the sugar eaters, the vegetable lovers, the gentle ones walking by similarly garbed folks who see the world in red. There are people who struggle with autism and those who suffer from depression, and the reaction to those two issues are completely different. The first, the community has largely embraced, the second is still a tortuous process. Leaving is a third and separate story. Sometimes the issues merge; sometimes they don’t. It’s a discussion I wonder if we’ll ever be able to have. Most die quietly. Sometimes, it is days before they are found. Others fall in broad daylight. When they jump off the balcony of a hotel in Borough Park or the rooftop bar of Manhattan, it’s with a loud cry: you can’t catch me anymore. There is no separating the living from the dead. Their agony tramples us all. My joy and triumph would have to wait. The dead, you see, come first. Judy Brown is the author of This Is Not a Love Story and Hush.